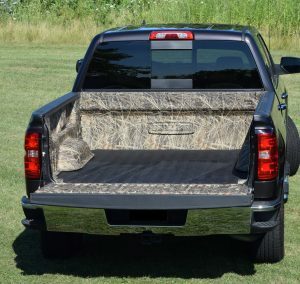 For years, truck owners have been limited to having a black bed liner in the back of their vehicle. 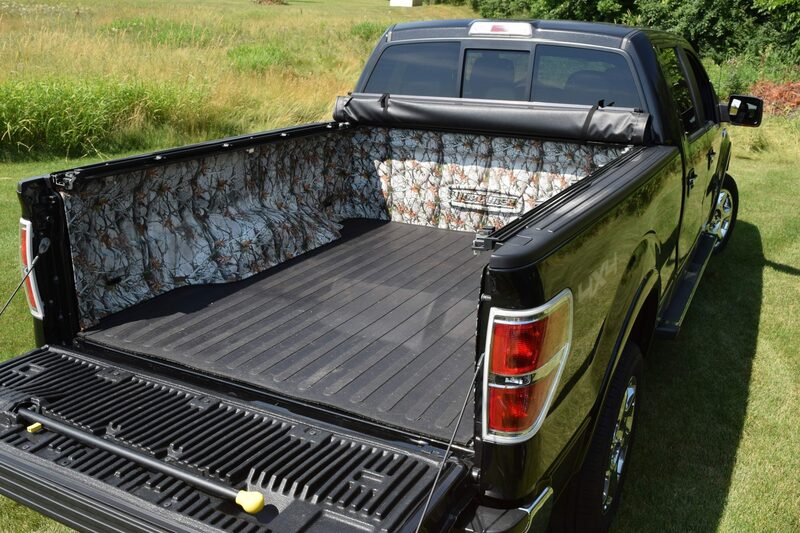 But if you wanted a little more flare for your bed liner you were out of luck. Until now! 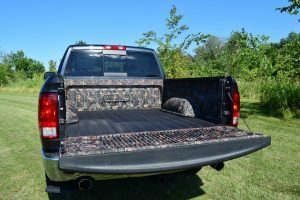 The new DualLiner Camouflage Bed Liner completely rewrites the rules of what is possible in terms of style and functionality in today’s truck bed liners! 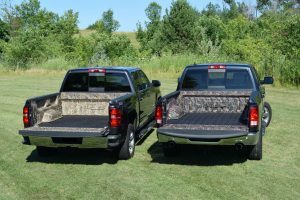 We weren’t surprised when we found that for some of our customers protecting the surface of their truck bed wasn’t enough, they also wanted to set their vehicle apart from the rest of the pack. This was especially true for hunters and outdoors enthusiasts. 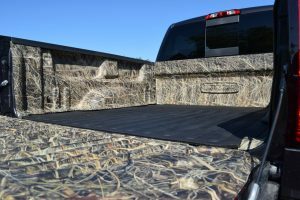 After all, customizing your vehicle to suit your personal tastes has been a time-honored American tradition for decades! 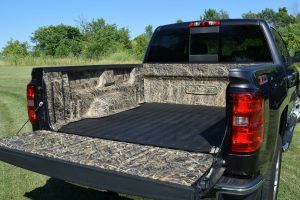 Sure, there are options to get spray-in bed liners in solid colors, but we’ve detailed the problems with spray-in bed liners before. 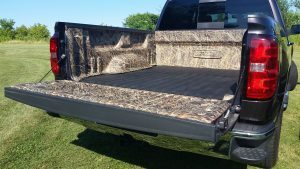 And even then, you often have to settle for a single solid color over the entire surface of the bed. The new Camouflage Bed Liner from DualLiner changes all that with the first and only bed liner with a photorealistic, full-color camouflage finish, perfect for hunting season. 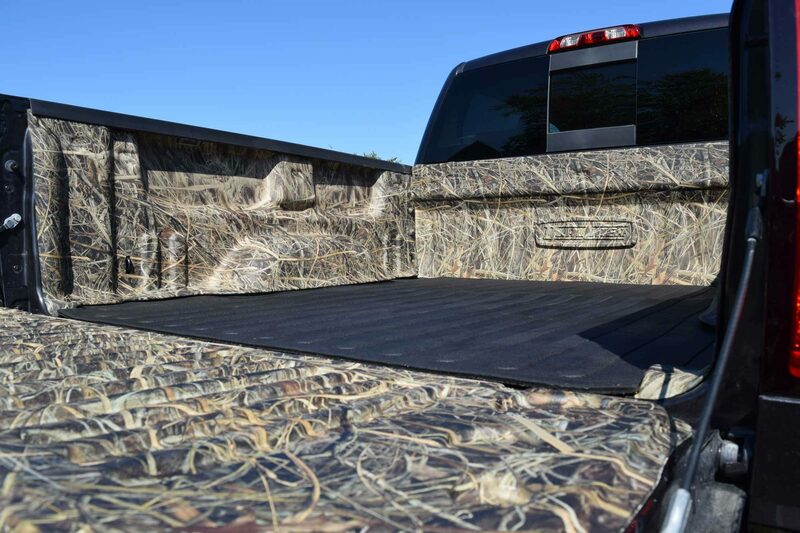 We have combined the legendary durability and precise fit you get from our industry-leading DualLiner bed liner with eye-catching camouflage graphics and made it available for most GM, Ford, and Dodge pickup trucks from 1999 to 2016/2017 model year. 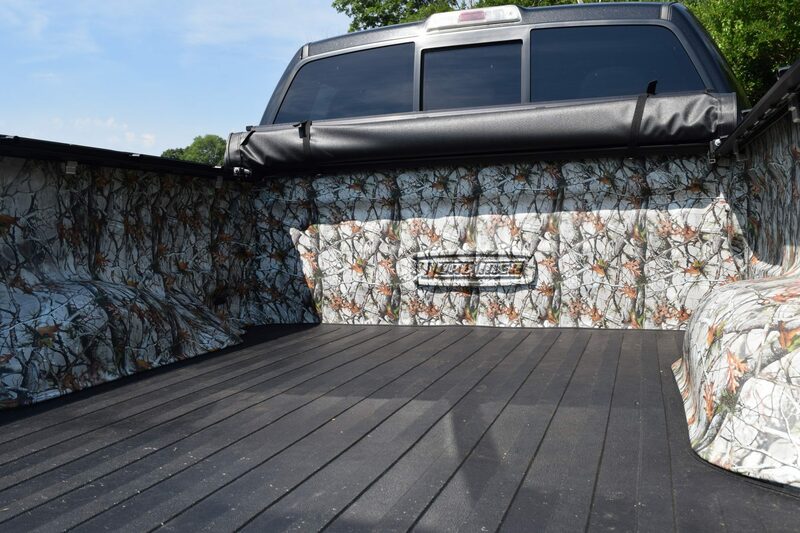 To make our custom bed liner possible in camo, we used a specialized hydrographic water transfer process to perfectly apply real, licensed camouflage patterns directly to the hard dent protection panels for the front bulkhead, bed sides, and tailgate. Then we seal the graphic with several coats of automotive-grade polyurethane that contain flex agents and UV inhibitors to make it resistant to weather and marring and to protect the coloring of the graphic underneath from fading. 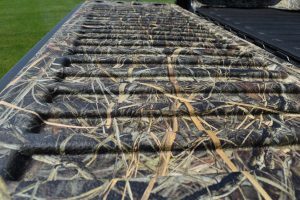 Next Camo™ Evo™ – A marshland and open area, grass-covered print. Next G1 Vista™ – A multi-directional photo realistic print with green and brown elements of oak leaves and pine. 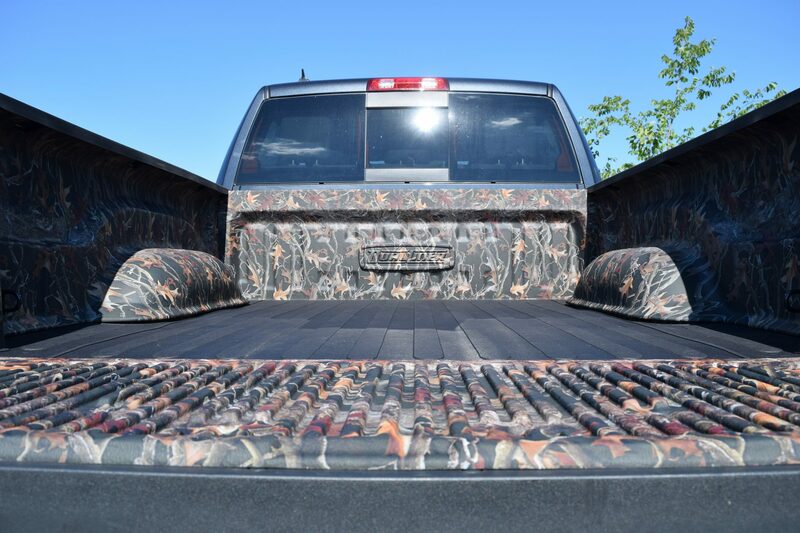 Thunder Mountain Woods™ – A print including deep timber, thick branches and rich fall colors. Muddy Girl® – A hardwood print with vivid pink and purple shades. But these are only a few of the options you can choose, want to show your patriotism with an American Flag pattern? 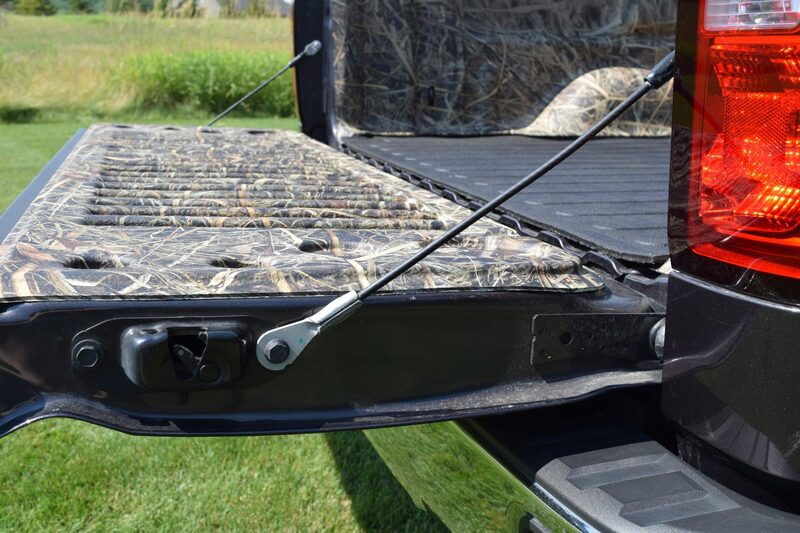 Pay tribute to our Military Services with U.S. Marine, Navy, or Army badges? 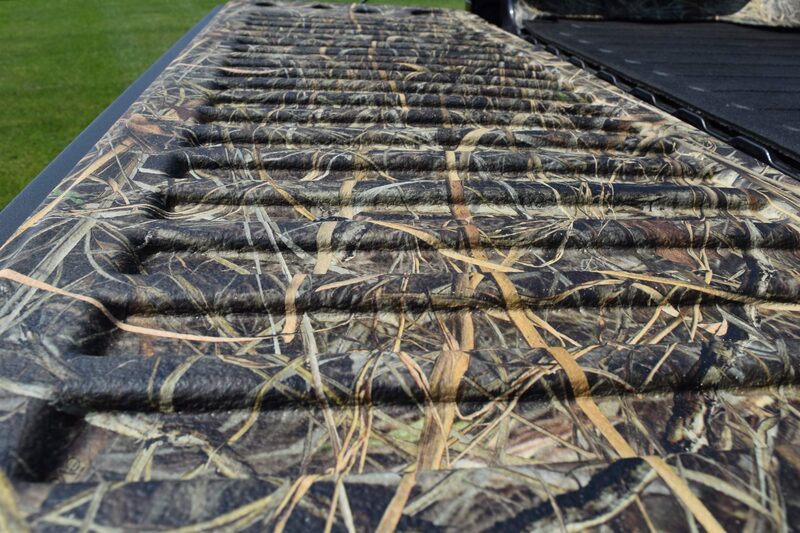 With thousands of patterns and colors available to you, you’re only limited by your imagination. 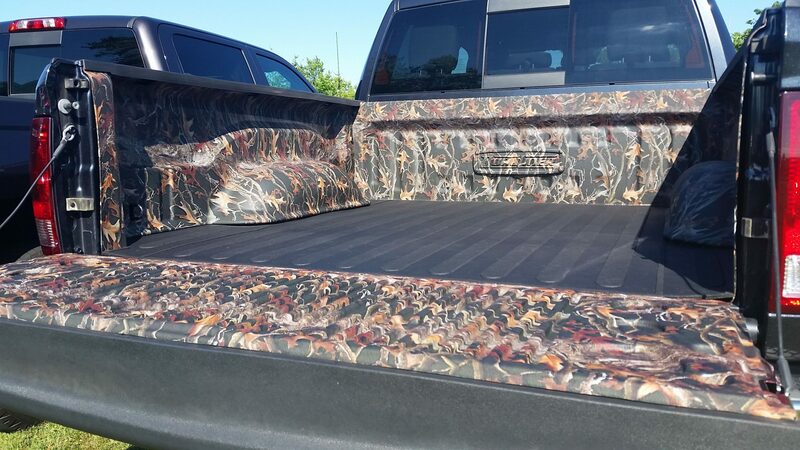 Anything is possible with custom printed graphics and DualLiner! 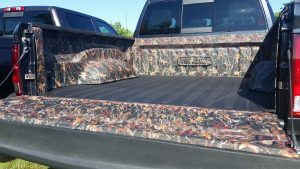 All printed bedliner units are Special, Made To Order by Telephone only. To learn more and explore a custom DualLiner of your own, call us today at 800-992-1949 – The Sky’s The Limit!